Do you travel a lot and you do not want to neglect your stomach training? Do you want to work out outdoors? 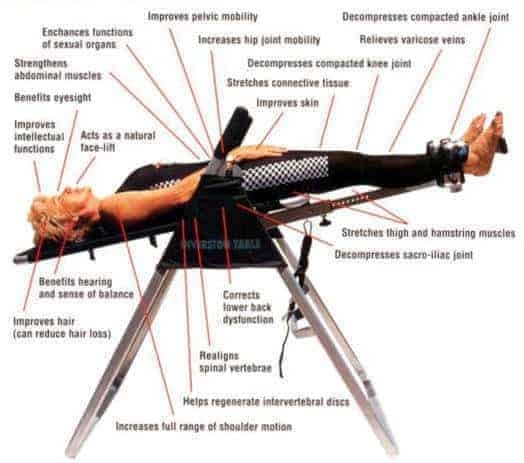 Well, here some useful portable exercise equipment for abs. I know, there are no equipment core exercises, but if you like me who loves using gear, then you will prefer these stuff. Actually, they are so compact that you can put them in your bag. I recommend the following items. 1. The Ab Wheel – The Winner! Even if it is a cheap and simple tool, the ab wheel or roller is one of the best devices to straighten our entire core. Small and easy to take everywhere. Although, you need a flat and smooth place to use it. If you have not used it before, the rollout and in motion seems to be easy. However, it is tough almost a total body exercise that builds extreme core strength. Let me explain why? Firstly, you are in an unstable state. On top of that, you have to roll it under your bodyweight. This way, all the core muscles have to work and cooperate for stability. Also, your chest, arms, and back are engaged to hold you your upper body. Hence, beginners may find it hard to use it first. I have an ab wheel progression guide here. It is small and costs only a few bucks. I recommend the Perfect Fitness Ab Carver PRO because it is the most versatile and gives excellent core workout experience. But, cheaper equipment will do as well. Check out the best buy ab rollers on Amazon. The internet is full of articles about why sit up is terrible, and you should not do it. But, I do not agree with them. It is one of the best abdominal exercises if it is done correctly. The AbMat is made to perform the sit-ups correctly and to get much better results from the exercise. 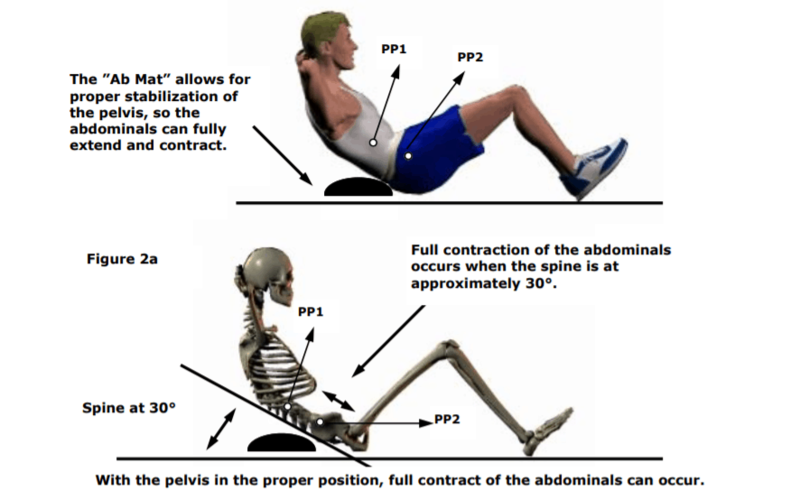 When you put it under your lumbar spine, it creates a perfect state for performing sit-ups. You can achieve the full range of motion which is a healthy and efficient way for abdominal muscle development. Furthermore, it supports your lower back. 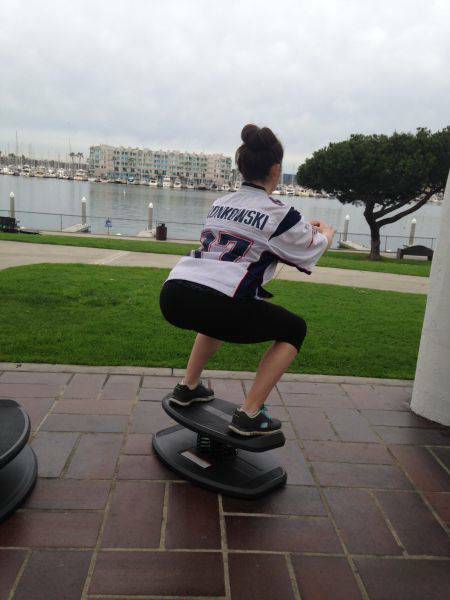 This portable exercise equipment is also cheap and lightweight, easy to take anywhere. The TRX is a very versatile home exercise equipment that can be used anywhere. It is particularly beneficial equipment for core training. Here you can learn a lot of TRX exercises for abs. You can fix the portable TRX almost anywhere making it ideal gear to work out, for example in the garden or in a hotel room. I recommend this product for people who want to do bodyweight workouts anywhere. You can fix it to an upright or even on the trunk of a tree. 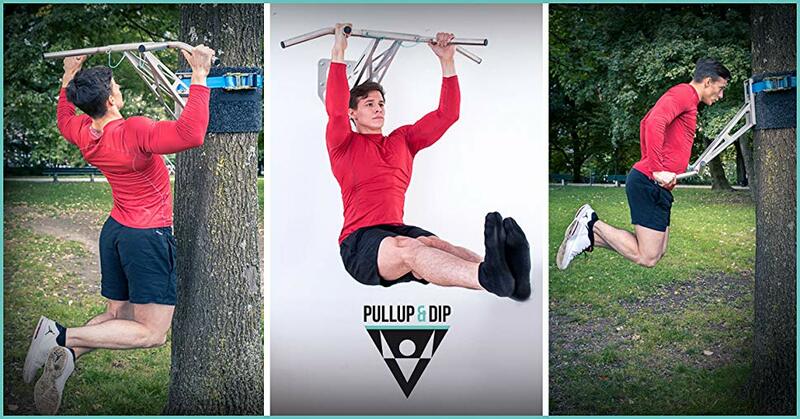 These pull up bars heavy duty, lightweight, easy to use and portable. Though, a bit pricey. Why is it useful for abs workout? Because you can do different hanging leg and knee raises that are beneficial exercises build six pack abs. But, the pull ups and chin ups themselves are great for core strength. Finally, rubber bands which are also versatile and excellent equipment to add additional resistance to exercises. I use them a lot to achieve progressive overload. You may see videos only using it for shoulder or arm workouts, but resistance bands are excellent for shaping your midsection as well. You can find many resistance band ab exercises here. Buy resistance bands on Amazon. I hope you find the most suitable portable exercise equipment for abs. Put it in your bag, and start shaping you midsection wherever you want. If you have any questions feel free to ask below. 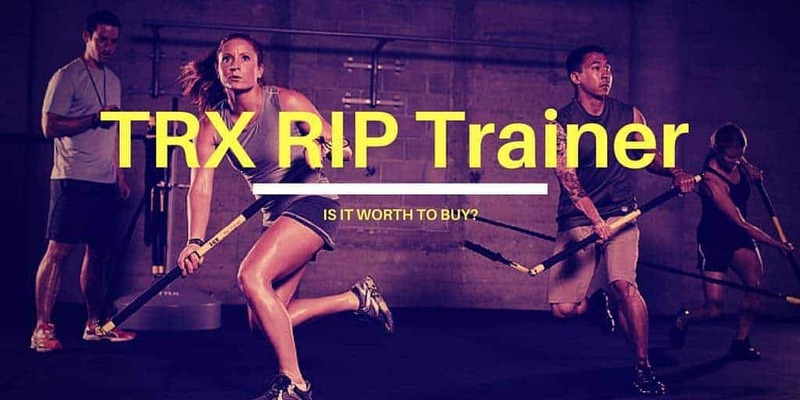 Honest TRX Rip Trainer Review | Is It Worth to Buy?